The Oklahoma SEO Advisor, Mark Brown, shares 5 local, mobile, and social SEO mistakes you can fix on your business website right now! 11 Tips on How To Drive Traffic To Your Blog. There are dozens of ways to drive traffic to your website, these are less conventional ways to drive traffic to… (Just Finished A Post On How To Drive More Traffic To Your Website! You can design the most attractive website or create the best blog on the web and it will all be wasted effort if it never sees the light of day. Generating traffic is the name of the game when it comes to brand-building, creating advertising revenue, and boosting visibility. There are dozens of tips and tricks to drive traffic to your blog or website, all with varying degrees of success; here are ten of the most effective. Keep Content Fresh and Valuable – Whether your site is designed to provide pertinent information or to sell goods or services, it’s important that there be a sizable amount of relevant information in a variety of forms such as articles, videos and photographs. Not only will this valuable content make a visitor more likely to purchase your goods or utilize your services, the ability to find free and informative material will inspire them to keep coming back. Learn SEO – SEO, which stands for Search Engine Optimization, can be intimidating at first. There are dozens of books on the subject, ranging from the simple how-to for beginners to complex manuals for veterans. Simply put, learning how to manage SEO content will help you drive targeted traffic to your site, and it’s one of the most valuable skills a budding web entrepreneur can add to their arsenal. Create a Newsletter – One of the most effective ways of generating repeat traffic to your site is by creating a free newsletter. When visitors to your website sign up for your newsletter they’re doing so because they have an active interest in your area of expertise. Sending out a regular newsletter to inform subscribers of new content and site updates will often result in a visit. Be sure to follow the CAN-SPAM act guidelines when designing your newsletter. Use Social Media – Facebook, Twitter and other social media sites are a great way to generate traffic as well as to maintain and broaden your audience. In addition to being incredibly powerful tools to reach the masses, most of them have the added bonus of being completely free to use. Give Interviews – Accepting requests for interviews will not only boost your visibility and help to build your personal brand, but it also often results in a flood of new traffic to your site if the interviewer includes a link or the name of your website. Create a Podcast – There are podcasts out there to cater to almost every niche market in the world. Creating your own podcast that is full of interesting and informative content can be a very effective method for generating site traffic, and can also position you as a heavy-hitter in your field. Use a PPC Client – Essentially, using a Pay Per Click client is a way of generating traffic to your site by paying for visitors. Tracking your ads and their results is certainly the most important aspect of PPC marketing; without tracking, it’s impossible to calculate the effectiveness of your ads. Powerhouses like Google and Yahoo! 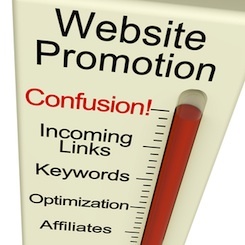 both offer PPC clients that are easy to operate. Use an Email Signature – Including the link to your website in your email signature is a very simple and completely free way to generate interest in your site. Each person that receives an email from you becomes a potential client when the ability to access your goods or services is at the bottom of the page. 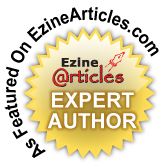 Submit Content to E-zines For Free – Like providing interviews to other websites and blogs, contributing content related to your field of expertise to e-zines free of charge can drive traffic to your site by boosting your visibility and portraying you as an expert within your chosen niche. Instead of seeing each piece of content as a sacrifice, view them as investments with a potentially large payoff. Build a Forum Presence – Forums and online message boards dedicated to your field of knowledge or chosen topic are a great way to connect with others who share your interests and to network with other webmasters. Just like adding the link to your email signature can generate traffic, so can including it in your forum signature. Building a reputation of being knowledgeable can go a long way towards directing traffic and potential clients your way. Regardless of your end reasons for desiring routine traffic to your site, you cannot rely on only one or two methods of driving traffic. The more of the above avenues that you put to use, the more traffic you will find coming your way. If you’ve enjoyed this blogpost and want to read more web traffic articles like this leave me a comment and let me know, also be sure to share this post on your favorite social media. Website Traffic Giant Google, Still King? Website traffic and Google go hand in hand, or do they? There is no denying that gugle is still a fierce competitor in the online website traffic, marketing and advertising industries recent changes as well as gradual shifts in it’s corporate culture have caused insiders to abandon the internet juggernaut. There is allot of great content with inteligent insight into how gugle was and what it is like now and believe me there is also allot of the word “Facebook” used as well. One further item to note is the mention of how utube changed once the web video giant was acquired by gugle. I was even victimized last year by gugle when they deleted my video’s and access from utube ~ what a disappointment and let down. I stopped using G+ for awhile and I still dont care to use their shiny web browser a try on my computer. I applaud James for his candor and explaining why he did it. How do you feel about Google and website traffic, what is your stance on gugle, share a comment with me and let’s talk about it? Right now 80% of people find blogs and websites via search engines. Because of this importatnt fact Search Engine Optimization (SEO) should not be ignored. Your goal shoudl be to get your blog on the first page of the major search engines. Search Engine optimization from outside of your site is just as important to driving traffic as pulling web traffic to it from the outside in. Another easy way you can increase your blog traffic is by capturing the email address of your visitors to your site. Once you have their permission to send them e-mail you will want to keep them updated about upcoming events, new products, promotions, or even special anouncements. Another way to increase traffic to your blog is to seek out blogs in your niche that allow writers to guest post. When you write a great post, leave a compelling call to action, and have a memorable signature file you will get traffic to your blog. When you reach out to other people online and share useful information they will come back to your blog again and again. You don’t have to have your own content all the time either. Share what you find useful, post articles and videos that inspire you and chances are it will inspire your readers. Now you have 3 proven methods for increasing blog traffic and rankings that will keep your readers engaged. Set aside some time in your day to get moving with your blog promotion strategies, stay consistent, and over time you will see the results that you desire.